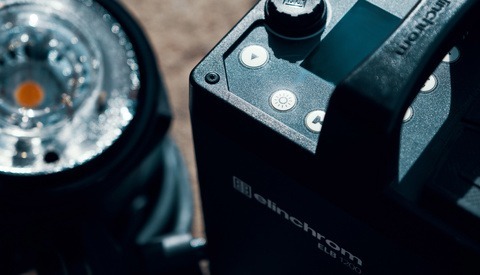 A few weeks ago I introduced you to Elinchrom’s latest offering, the ELB portable strobe kit. Now that I’ve spent a few weeks shooting with it both on location and in the studio, I can finally tell you if it’s actually any good and whether it can compete with the newly released Profoto B2. For my tests I had the Action kit with two heads, one pack, and two batteries, which is a 400ws unit that costs around $3000 – slightly cheaper than the cost of a comparable B2 kit. The ELB can be thought of as the next generation of their Quadra Ranger set, and rather than repeat myself, a full list of enhancements and improvements over the Quadra can be found here. Although the Ranger is still marketed as a separate product - with the ELB shown as its more advanced sibling - having used both units I see it as more of an evolution of the Ranger line rather than a new product. The enhancements, while welcome and nice, are really quite subtle and on par with what you’d expect from a product update as opposed to a separate one. Comparisons aside, the ELB is a very capable unit that performs well in a variety of scenarios. In terms of technical specs, the battery life does indeed appear to be improved over the Ranger and it delivered very close to the 350 full-power flashes quoted in their specifications. The faster recycle time of 1.6 seconds to full power is also a welcome change, particularly as there appear to be no negative effects on color consistency. Having performed a number of grey card tests across hundreds of frames, the color varied by no more than 50 kelvin at both fast and normal recycle modes. Each full battery also delivers close to five hours of use on the LED modeling light, which while generous, could stand to be a touch brighter for my taste. The new OLED display is a very welcome change as it makes adjustments much quicker and more intuitive. Although flash duration isn’t of critical concern to my type of work, the ELB offers good albeit not class-leading figures of 1/1200 at full power to a max of 1/5700 towards the lower power end. Splash photography is hardly an interest of mine but I can tell you that at these numbers you’ll come close to freezing liquid but not entirely. One interesting change in the ELB is that it will discharge before fully recycling, which can be helpful if you need power in a pinch and can’t miss the moment. According to specs, the Quadra offers hypersync with PocketWizard triggers that’s more than three times the power of what is offered by the B1 and seven times the power of the B2. As I’m not a PocketWizard user, I wasn’t able to verify this but it’s certainly an interesting benefit for those that need to shoot at fast shutter speeds. The ELB also adds a number of creative modes like strobo, delayed firing, etc., which while cool for some may not get a ton of use by the majority of photographers. As far as heat handling, the ELB will get about 40-50 consecutive full power flashes before the heat warning comes on and puts the pack into standby. The cool down period lasts about two to three minutes at which point you can fire another 40 shots before it kicks in again. All in all, performance is steadily improved over the previous generation Quadras and about on par for the price point. From a build quality standpoint, a few cosmetic changes have been made, primarily to the display and buttons, but also to the cable inputs. The ports are a bit more user friendly and quicker to attach and detach, but this isn’t really an issue I ever had with the Quadra to begin with. The remainder of materials is largely the same with a combination of aluminum and composite plastics. While the pack itself is nice and sturdy, I would still love to see improvements in a few areas. The first is the battery attachment which holds on via two double action plastic clips at both sides and always felt a bit flimsy and tricky to detach. The second is the head itself, which is primarily made out of plastics whose overall feel and finish isn’t very confidence-inspiring. On the upside, the materials also result in a head which is virtually weightless at .28kg while delivering a reasonable 400Ws punch. The pack itself is also impressively light at 2kg and carries well with the provided strap over extended periods of time. Despite my gripes with the materials, having had my Quadra Ranger for over two years and putting it through a fair bit of strain, I’ve yet to see any cracks or damage on the pack or head. 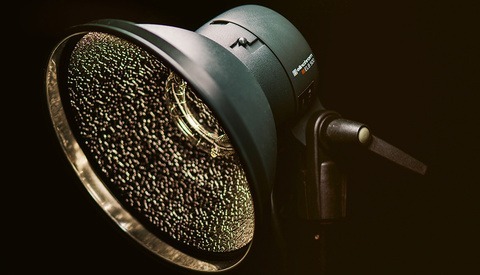 In the studio the ELB is a capable performer thanks to its 400Ws power, good battery life, and swift recycle times. The batteries can be trickle charged while shooting – although this does reduce battery life – so you needn’t worry about running out of juice mid shoot. That being said, with the two battery kit, the ELB’s excellent battery life should easily get you through an entire day of shooting. The biggest downside to using the ELB in studio is the low output of the LED modelling light, which at a 50W equivalent doesn’t even come close to that of a wall powered pack or monoblock. 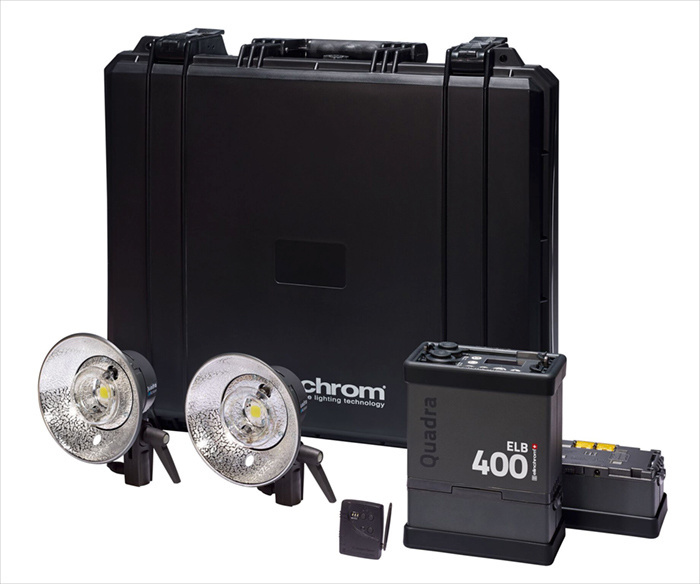 Having used the Broncolor Move pack and seeing just how functional a battery powered LED modelling lamp can be, I would love to see Elinchrom make strides in this direction, even at the cost of battery life. That being said, the output is still on par with its close rival, the Profoto B2 and just under the B1’s 70 W equivalent rating. With its low weight and ample output, the ELB does a lot of what you’d want from a package at this price. 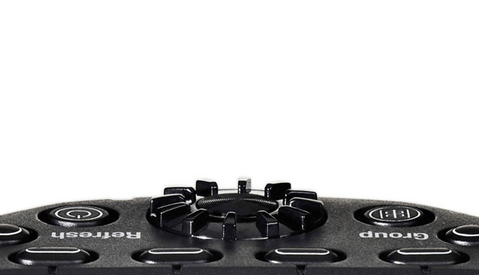 It delivers consistent results over a long day of shooting without the need to look for a power source. Despite shooting on a frigid day with temperatures below freezing, the Lithium-Ion battery had no issues and lasted through a full eight hour day without swapping to the backup. With larger modifiers and a CCD medium format camera, I began to test the limits of the ELB’s output, but assuming you have more ISO range to work with than I had on my Phase One IQ140, the power should be sufficient for most uses. When shooting in broad daylight, combining the head with a punchy modifier like an Elinchrom Maxispot will give you more than enough output to overpower the sun. Despite the sufficient power, I still would love to see a 1000Ws model to replace their aging Ranger pack. The biggest drawback that B1 or B2 fans will no doubt encounter is the lack of TTL metering and controls. As the previous Quadra model, the ELB is a manually controlled unit with power adjusted via their Skyport triggering system. While I personally have no need for TTL, I can see the benefit it brings to a wide range of shooters. This also brings me to the Skyport itself, which is another head scratching design that Elinchrom has sadly clung to for years with little to no improvements made. Although Elinchrom claims to have built-in support for “the next generation of Skyport controllers,” no details are available as to what this really means from a feature standpoint. I’d love to see bi-directional communication with a power readout and an OLED display similar to what is present on the pack itself as well as a simpler button layout to aid in feedback and usability. As with most Elinchrom products, there are things I like about it and things that I don’t. 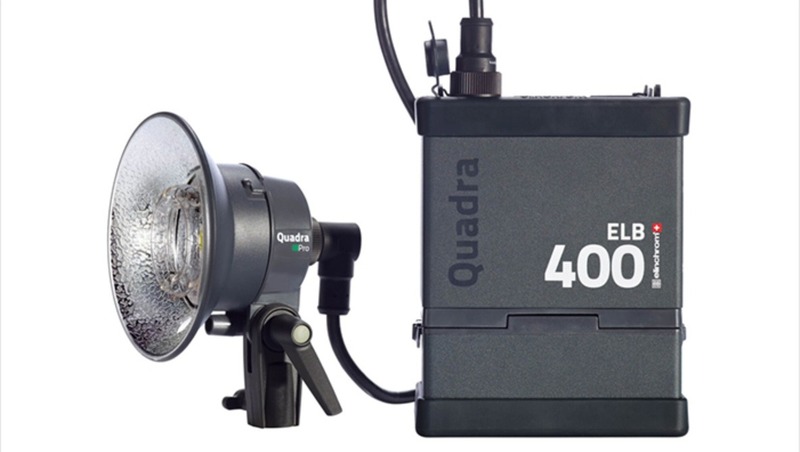 One thing I can’t really get my head around is why Elinchrom has decided to name the unit as a new lineup rather than just replacing the Quadra Ranger with the upgraded features and still offering the option of both Lithium-Ion and Lead-Gel batteries. While it is a nice improvement over the aforementioned model, it’s hardly a monumental leap. I would think that the ELB name would be more suited for a replacement of their 1000Ws Ranger pack which would make sense with their flagship monoblock, the ELC. Despite that confusion, I’d also like to see Elinchrom pay a bit more attention to design and usability, which are a consistent frustration for me with all their products. The OLED display has dramatically improved the usability of the pack – much as it did on the ELC compact – but the cumbersome and poorly finished battery attachment, flimsy head and archaic Skyport trigger all remain. I’d also like to see flash durations that are more in-line with those of the Profoto B1 and B2, but it's important to note that they achieve these high sync speed by sacrificing color consistency so side-by-side comparisons of these figures are tricky. While adding TTL is a massive undertaking, it’s definitely going to be a deciding factor to opt for Profoto for a good number of buyers, particularly event and wedding photographers to whom speed is key. Those gripes aside, the ELB is a nice evolution of the Ranger line-up and a capable performer. Much like their ELC compact, it’s much closer to a polished and well-rounded product than anything I’ve used from their past. Given that it falls within a similar price range to both the Profoto B1 and B2, it’s largely a factor of brand preference, power needs, battery life, and of course TTL. It is actually a lot cheaper than the Profoto B2 kit. 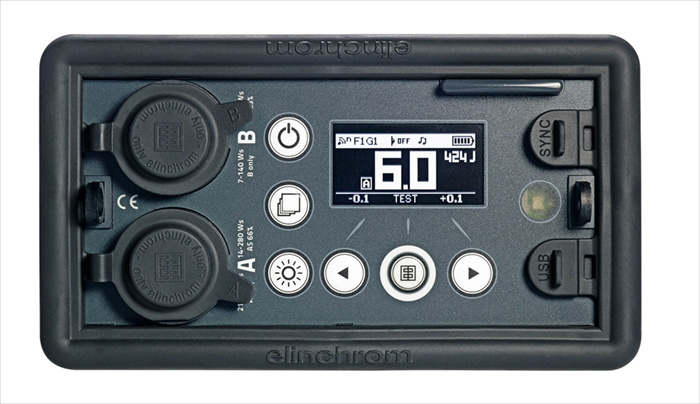 The Profoto kit still requires the purchase of the Air Remote for $400 more. But, I still prefer my B2 kit over this one. The heads look very fragile and I like the option to use TTL if I need it. Buy yourself some used or old stock Profoto AcuteB 600 units. They can be had for a song and along with a splitter cable and LiFe battery will do just about anything you need short of big DOF MFD. The main difference though is the size of the quadra/ELB kits. I have been able to carry my camera, lenses, and complete two head/two battery quadra kit in a medium sized camera back pack and it was light enough to hike out to locations without much complaint. I don't think an acute kit is quite small or light enough for that. No weather sealing like on the Ranger RX. Enough said. 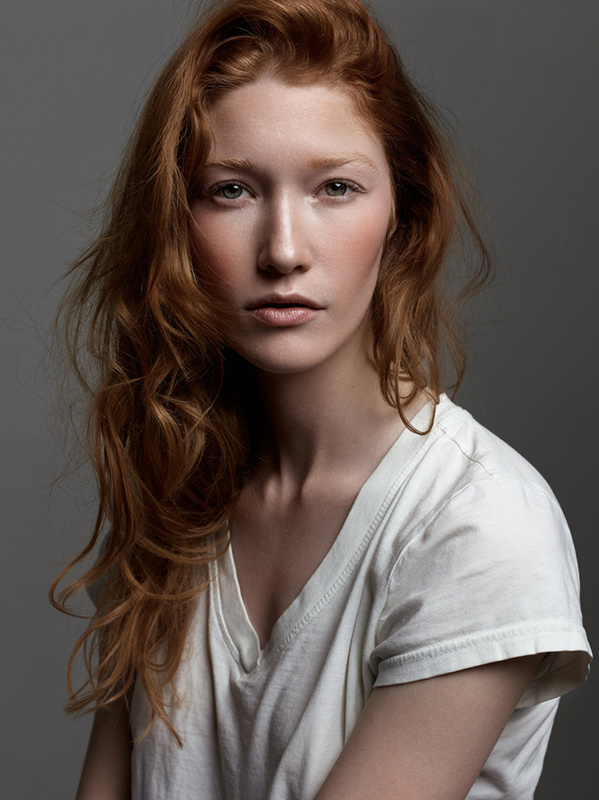 I have never used a B2 or this Elinchrom unit, but I have 2 B1's and they work flawlessly. It is very useful an helpful to have 2 completely separate units that can be very far apart from each-other with no cords or power packs. My previous experience with the 7B was great, but it was heavy and attached to a big pack so separation of heads was difficult. Having 2 self containing battery operated heads at the power level (500w) is a game changer for location work of any kind. I used to use speedlights and they were fine for the most part when the Radio triggers works but so often they would miss fore or foul up or the cable would stop working and all that fixing takes time. The profoto air remote works every single time no matter what. That is the most valuable part of the system in my opinion. I have had too many instances where triggers would fail to ever want to go back to any system. That's the cost of roughly 6 sb910's.. which I've never had an issue with paired with a magmod grid or photoflex octa and pocketwizards.. Hard for me to justify overpriced equipment like that.